Sometimes all you need to get kids excited about a food they’ve had repeatedly is to present it in a new way! 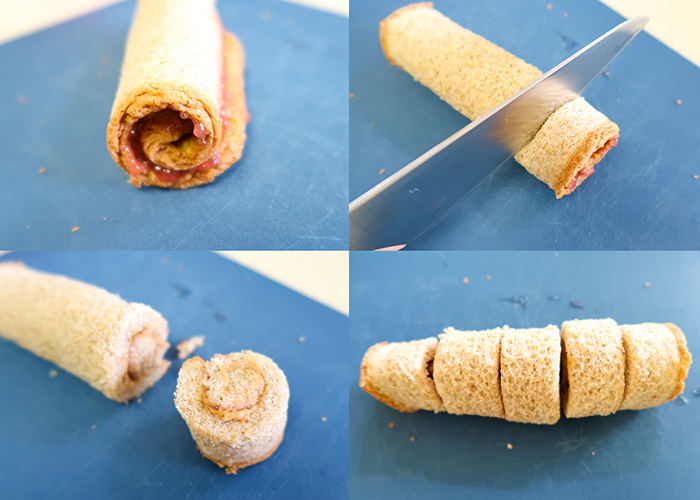 Kids love food that comes in different forms and shapes, so today I’m going to show you how to make these Peanut Butter & Jelly Roll Ups! 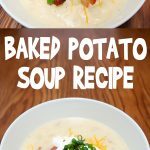 This is so easy that it barely counts as a recipe, so I’m not including a printable. It’s more the technique that I’m teaching to keep the roll ups, well, rolled up! 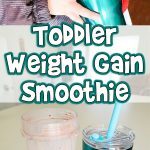 These are also great for kids who are hesitant to try foods in different shapes. My toddler won’t eat potato wedges, but he’ll eat french fries, even though they’re the same thing. So I’m working on his eating by making familiar foods into new shapes to challenge his aversion to different shaped foods. It’s working really well so far! 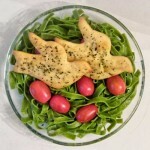 Here’s what you’ll need to make them. 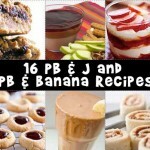 Check out a whole bunch of peanut butter and jelly recipes here, just in time for back to school! 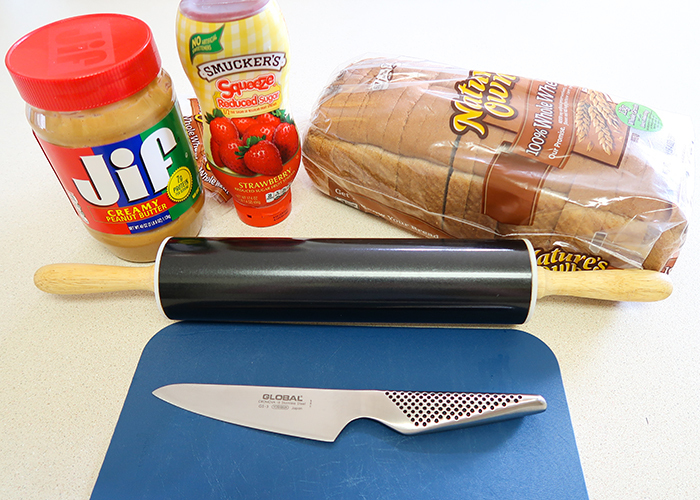 Start by setting a slice of bread down on your cutting board, and rolling it out flat with your rolling pin. Roll in both directions to get it nice and flat. 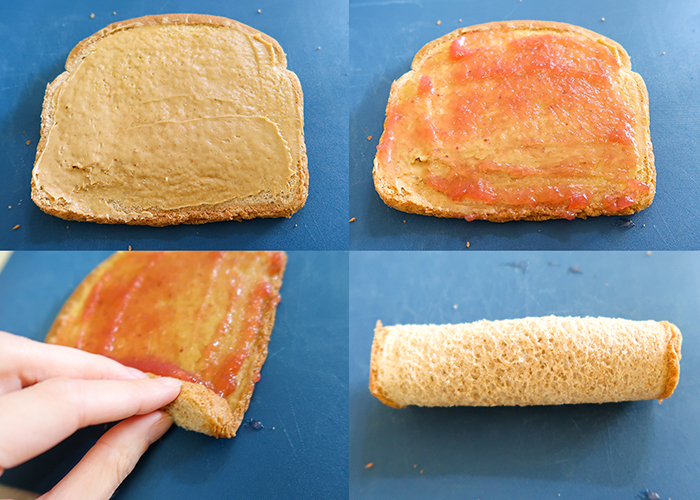 Spread it with a thin layer of peanut butter. Top it with a layer of jelly. I use very thin low sugar jelly in my house, so my jelly oozed out a bit and didn’t show up well in the final roll. 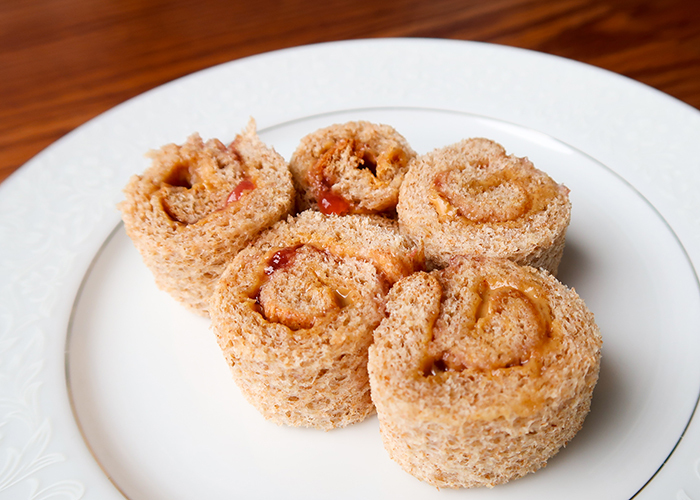 I recommend using a thicker jelly or jam, or even preserves if you want a nice, defined swirl of jelly in your final roll. Starting at one end, roll it up snugly. Then gently press the roll with the palms of your hands and roll it back and forth a bit to help stick everything together. It makes a nice tight spiral that stays in place even when sliced and moved around on a plate. 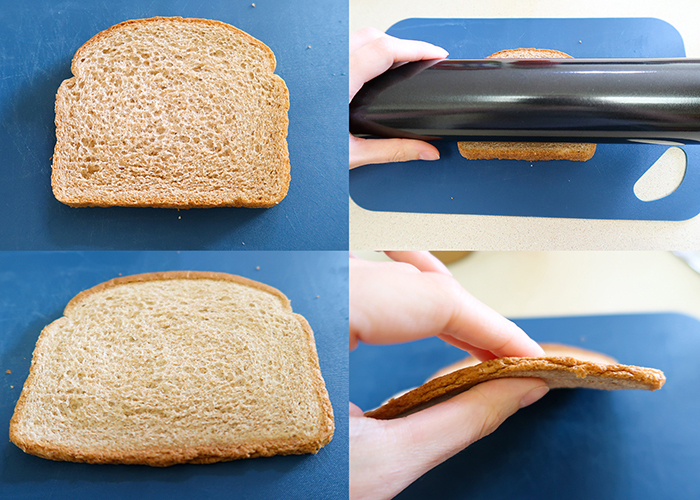 Then just take a sharp knife and cut the roll into approximately 1 inch slices. I was able to get 5 roll ups from each slice of bread. See how cute these are? 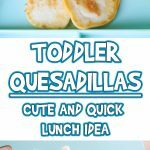 I made these for my toddler, and my 9 year old big girl was jealous that her brother got the cute roll ups. Of course, I had to make some for her too! 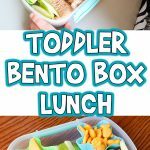 To make it even more fun, you can challenge your older kids to eat these using chopsticks if that’s a skill they’re learning. 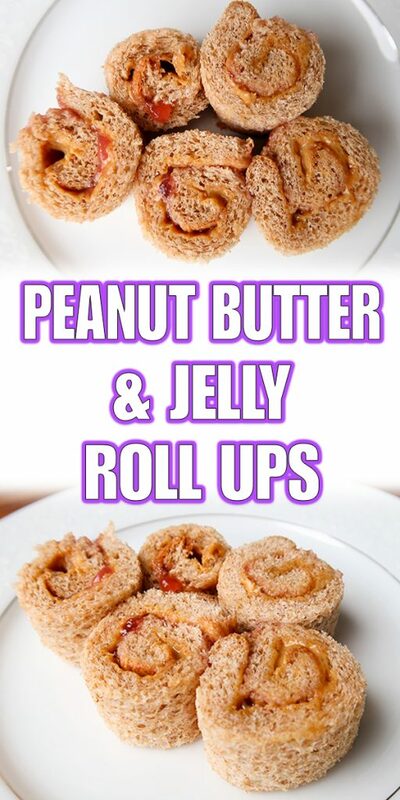 I hope your have fun making these Peanut Butter & Jelly Roll Ups, and I hope your kids love them too!